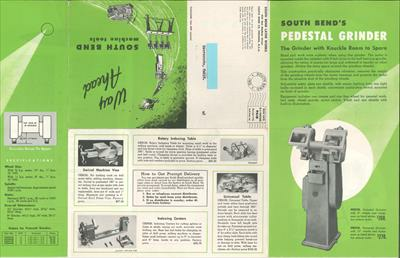 Publication Title: South Bend Machine Tools // Way Ahead 6 page flyer of their grinders, drill presses, & shaper. Oddly no lathes mentioned. A rarity for South Bend.